Clare, her hands in the pockets of her school coat, her face stinging from the cold, moved slowly round the church, staring at one inscription after another, giving her attention to the whole chronicle of wood merchants, burghers and benefactors of the poor, of husbands and fathers, wives, mothers and children. She felt an obligation to listen. It would be nice, she thought, to be a person living in this place and sit every Sunday beside these names, especially if maybe they were the same as your own name, or people you knew. You would feel settled, if you were a person who did that.Clare is fourteen. She dreams of the summer when the snow is blank. Her friend from school, Liz, wishes she could be nineteen already. They are lying back on Liz's bed, having done so all the Saturday. Clare had spent the week pining for this Saturday, despite that she doesn't do anything when it is there, or at least Liz accuses her of not doing anything. (I think there's something to be said for doing nothing on a Saturday.) Clare knows better, says that Liz would go crazy not knowing what happened between fourteen and nineteen. She needs all of that in-between rattling in her head. I loved that Clare knew this about Liz but inside it takes more than quiet acceptance to feel at home in her young skin. It is still winter, still indoors, time running away and time not doing anything at all. Clare has lived with her great-aunts Susan and Anne since she was nine. Her parents died when she was six and she hasn't let go of the memories of them she had, or of the early years of family who lived like strangers. Holidays with cousins who speak in code. The six year-olds smile at her in condescension. Not one of them. Clare wonders about how they cope in the outside world of unfamilial languages. Aunt Anne is eighty-one. Aunt Susan is seventy-eight. They are vague about today and yesterdays of decades past are closer to them. Their lease for their great house with the ecclesiastical windows and porches in Norham Gardens is up in fifteen years. Heads together trying to manage the money they don't have, housekeeper Mrs Hedges (she's more a friend to them. The heads in the clouds don't pay her much, if at all, so it can only be friendship that she takes care of them as she does) lets in reality too much considering the house not a problem. Clare can't admit to herself that the Aunts, who with greater frequency cannot do what they once could, will not be around in fifteen years. Another night that one of them stays in bed. Blame the cold. Clare is impatient for right now, yet estranged from any visions of a future self. Schools and other well meaning relatives want her to think of tomorrow. The youth magazines of the day haunt her with their promises of brand new transformations. Wear this shampoo, smile with these young men while you are still young enough to do so! I loved the quiet pacing in the fear of change. If you came out and admitted that you were afraid of how old the Aunts are..... Liz is always telling her to go some place with her. When she's cycling with the other kids she's free. The school days are euphoria and despair. Forget your today in the history on the chalkboard. I think my very favorite part is when their boarder Maureen says to Claire "It's never just you!" Clare is marveling that she had thought it was just her. That only she had to run home to make sure that home was still there as she left it. Maureen is thirty, works in an office, makes disparaging remarks about herself, usually her weight. She always lets the truth slip in offhand remarks. How she isn't so very jealous about her younger and prettier friend getting married and she is not. It's more a worrying always in the back of her mind. I don't know if she did it on purpose or not but I liked Maureen a lot. There's something comforting about people who are always themselves like the Aunts, but Maureen has this way of giving herself away that's just as good. She is right that nothing is ever just you. Someone has always felt that same way as you had. I liked everybody in this book a lot. Like during the school production of Macbeth when the audience extra Clare ruins the scene by talking about seeing Banquo's ghost. They've already forgotten it when she goes back to school. That was great. 'Norham Gardens' is so perfect for stuff like that. For being happy in today, real miseries, small ones, for being worried, and how Clare could have thought it was just her. Another set of thoughts, and experiences, and attitudes had joined all the others whose misty imprint surely still lingered somehow behind the yellow brick and gothic windows. Yearnings of late Victorian housemaids, boredom of the aunts, cloistered in the schoolroom, the despondency of governesses... Great-grandmother's busy pursuit of an appropriate and well-ordered life, the heady breeze of the aunts' resolution to determine their own futures... Friends, relations, students... And, faintest of all, the alien flavour of remote, half-understood things known only to great-grandmother. The shadows of another world and another time.There's this chest in their attic (the Aunts keep everything) with something their father brought back from an expedition in New Guinea. It's a piece of wood. It has a picture on it. It's art, it's a anthropomorphized know-it-all. It's black, red and yellow. Stripes and war paint and forgotten ancient. They want it back in her dreams. Every night Clare visits the edges of forests. The edges of people circles and intent. She knows it is a dream and wakes up, only remembering that she dreamed. Clare is reading one of her great-grandfather's books on New Guinea. The book is quoted in the start of every chapter. I loved this. She's concerned that they can't remember why they needed things like the tamburans. Tamburans aren't really shields but they are, the belief that their fathers and grandfathers protect them from the mysteries of the world. They no longer make them because they can't remember why they needed them. I don't know if the tamburan, or the spirits of the New Guineans, is communicating with Clare in her dreams. It's the fear of forgetting herself like they did that gets to me. It could be an obvious connection, look at these guys. They were overtaken by the outside. But where would they be? Killing each other? People need people, people are just people. Yesterday is history, an hour ago is history. I loved that Clare could sit there and live all of how it could be beyond the making connections part. How can you forget it it isn't ever just you? Could be a slab of wood or it could be mystery that follows you with its eyes. I loved how she's thinking about them just like she's thinking about stories from her Aunts. They tell her stuff like why the butcher is such a creep. During the war and rations people would put up with any humiliation to get a choice piece. Visiting the New Guinea collection in the museum Clare meets a new friend John. John is from Uganda and in England to study. He becomes part of her life like Maureen. Maybe he won't always be there (I think he'll have to go back to the family he misses). Clare feels like he had always been there. This is what made 'Norham' so special, I think. It was a great idea to haunt Clare with the shield. I loved that the yellow, black and red are more vivid than the similar pieces in the museum. They are more vivid each time she dares to think about it. But the symbolism aside, the concentrating, it's the every day in spite that works so well. Clare goes touring London with John on one of those days she feels like she doesn't know what to do with time. (I forget which Aunt had the idea to get out of herself this way. I loved them for it, anyway.) They go to the zoo. Clare thinks it is awful and odd how the Orang seems to see in all directions at once. But the elephant she likes best. The people aren't laughing (John says that people aren't laughing because they think the monkeys are funny. John also laughs a lot. He laughs when he doesn't think things are funny. Sometimes Clare can tell which is which, sometimes she can't. He has his own way of giving himself away, just like Maureen. They have their own secrets, it's just a way of paying attention to people so you're not the jerk that calls other people fake for how they have to live inside and outside themselves. Anyway, Lively has a light touch this way that I appreciated a lot). She has a name, Samantha, and was born in captivity. I didn't like that Clare preferred the elephant for reaching out with her trunk. I think it's like the conversations John and Clare have about how some people are comfortable with the expected, and how you can forget how to not live that way. Things like people not coming right out and asking if Clare can remember her parents. I wanted to be in the book and talk to Clare about the orangs and the elephants, really. What if you met them in the wild, took away the people and their reactions that don't have anything to do with how they are their own animal alone. What if you saw them on different days? When a bad day felt like it would never end? Maybe their best friend in the neighboring exhibit was hibernating and maybe.... Sighs. I really loved The House in Norham Gardens. I didn't like that the pacing sped up in the end, when Clare finally knows what she already knew to tell Liz, that you need the rattling in your head. She really already knew she would have to memorize her Aunts for one day too. That she wouldn't forget why she needed them like the New Guineas forgot why they needed their magical ancestors. But really I think I just didn't want the book to end and that's all. The pacing was so perfect, scary faces in blank wallpaper and snow squares, it's exactly like a Saturday of doing nothing and a London trip of forgetting yourself, and dreams you can't remember and people giving themselves away. It's never just you. A self consciousness kind of time obsession behind the walls....I bought this book not too long ago in one of my "I'm going to stockpile books for a day I feel bad and that book will take the place of the edges!" It really did do that. There's nothing that beats that. I wonder how her great-grandfather wrote in his paper on New Guinea that they were forced to walk in rivers with alligators in them. Really, alligators? Since when are there gators in New Guinea? Quite possibly the best book I will read all year, with a wonderful main character, two forgetful aunts, an old house and absolutely faultless time slips. While idly reading sections of the book, "Four British Fantasists: Place and Culture in the Children's Fantasies of Penelope Lively, Alan Garner, Diana Wynne Jones, and Susan Cooper" by Charles Butler, I became intrigued with his account of Penelope Lively's interest in how layers of peoples and ages appear in the landscape, and of interpreting the past through examination of these layers. Butler calls this "applied archeology". Here is Butler's comment on Lively's "The House in Norham Gardens":"The sense of the past's irrecoverability permeates Penelope Lively's work, although the solutions she offers are partial, and often more concerned with acquiring the wisdom to cope with the inexorability of time than with successfully opposing its march. Clare in 'The House in Norham Gardens', for example, is well aware that her frail and aged aunts will die quite soon...Clare can do no more than pay them the fragile tribute of a faithful remembrance, and this is the resolution with which the book concludes: "I'm learning them by heart, she thought, that's what I'm doing, that's all I can do, only that." Through such acts the human mind itself becomes a museum, or a time capsule...This is applied archeology indeed, an offering to time both defiant and propitiatory." (p. 60-61)So, that is the statement that interested me in reading this older novel, which is ostensibly for children. It was published in 1974 and although I was not a young child then, I was only just past childhood, so the feel of the time period was rather nostalgic for me. I think if I had read this book as a child, I would have liked it, but for different reasons than those that appealed to me now. Clare, the fourteen-year-old protagonist, has been orphaned and lives with her two great-aunts (aged 78 and 80) in a three-story rambling Victorian house in England. Servants no longer help maintain its many rooms and it is settling and crumbling around its occupants. Other similar houses in the neighborhood have been turned into apartments. You learn that, even though the house has been in the family for many years, it is only held under a long-term lease, so when the aunts are gone, the house will probably leave the family as well. The two aunts had never married and were sharp, intellectual women, although now frail and rarely able to leave their house or wander from their routine. There is a woman hired to help clean and cook, but Clare herself must take on responsibilities beyond her years. She exhibits a rare maturity. To make ends meet, Clare and her aunts take in two boarders, who add interest to the story. One is a twenty-something working girl, the other an African grad student. Clare's great-grandparents (the parents of her aunts) had been anthropologists who had studied the people of New Guinea. Along with the layers of family history in the attic are items her great-grandfather brought back from New Guinea, including a ceremonial, painted shield. This shield figures large in the storyline and in Clare's interest in working through the changes time brings, both to her and to the objects in her life. For me, some of the best British children's books are set in large, atmospheric old houses, and this book follows that pattern. The shield adds a very slight bit of a supernatural mystery. The real interest for me though (at this point in my life), was how the author addressed the passage of time and the questions that confront us all when we realize that, as my father pointed out to me long ago, "this is not a permanent arrangement". Clare is precocious for her years in the way she grapples with this life-problem. This book is peopled with interesting, well-drawn characters and with lots to think about. I very much enjoyed it. 'The House in Norham Garden was published in 1974 and in many ways it now seems very dated, set as it is in an educational landscape of O Levels, and Latin translations and taking place against a backdrop in which black people are still something of a novelty in British society. Its central character, fourteen year old Clare, lives in a huge, rambling old Victorian house in North Oxford with her two great aunts who were, in their time a pair of blue-stockings and who now live as much in the past as in the present. Their father, Clare's great-grandfather, was a Victorian anthropologist and the attic is filled with objects he collected during a trip to New Guinea, including a beautifully decorated shield known as a tamburan, which fulfilled a ritual function in the tribe from whom it was taken, connecting them with the spirits of their ancestors.Clare becomes pre-occupied with the tamburan which seems to draw her back to the life of the village in which it was created. In emotionally charged dreams, which begin to intrude more and more upon her waking life, she struggles to return the shield to its rightful owners. She is only released from her obsession when she comes to accept the impossibility of preserving the past, except in memory. It’s a beautifully written and extremely subtle book, full of meditations upon the subject of time, history, change and death but the sensibility is very adult and I feel it is much more likely to be appreciated by adults looking back upon their childhoods than by contemporary juvenile readers. It's a long time since I read this book, so long that I'm not even going to make my usual inaccurate stab at a guess. That doesn't matter; I remember this book glowingly, searingly, this is a wonderful book.Why? The writing? It's been so long I couldn't say for sure, except that I know I loved it from the first, and it's usually the writing that seduces me, but I don't think it was the writing that lodged it in my mind. It might have been Clare and her aunts, of course, the idea of a girl growing up normal in a household that would have blown the minds of many of my schoolfriends.It might have been the counterpoint of their exotic lodger against the grey realities of England.It might have been the story of the tambouran itself, woven in so skillfully, the little glimpses at each chapter heading gradually taking their place in main narrative, the exploration of the somethings lost in progress, of the delicate balance between undoubted improvements in health and opportunity, and the loss of diversity.It might be that it was one of the first books I read that forced me to recognise the impossibility of a perfectly happy ending.Or it could just be that it prompted me to visit the Pitt Rivers Museum, which is an entirely worthwhile outcome in its own right. 14-year-old orphan Clare lives with two elderly great-aunts in a large house in North Oxford in the mid 1970s. Her great-grandfather, the aunts' father, was a Victorian explorer who brought artefacts back for museums - some of which are still in the attic, giving Clare strange dreams. The aunts are stuck in the 1930s, the house in Victorian times, and the artefacts are older still - and Clare, who is mostly refreshingly angst-free, has to find her own way in all this, and build her own life.I loved this, but it is probably partly because Clare is close to my own age so I remember being that age at that time, and I know all the places she goes to including having been inside one house in Norham Gardens - they are still there, although I don't suppose many (if any) are single family homes any more. I'm not sure if teenagers these days (or ever) would love it. It isn't the exciting adventure one might expect from some of the blurbs about ghosts and ancestral shields. It's more a coming-of-age book with a level-headed main character in unusual but privileged circumstances. I'd love to give this to a test group of 13-15 year olds in order to discover whether any of them like it or not. Maybe there is a sensitive, thoughtful girl who would respond to this book, but my hunch is that adult readers will like it much more than the adolescent audience it was written for.Phillip Pullman wrote the intriguing forward to my edition, and his comments about "time" being the invisible character in this book struck me as very apt. There is a time-travel element to the plot, and I still can't decide if it adds anything or not, but "time" does play the central role not only in the plot -- but in the entire philosophical underpinning of the book.I really enjoyed Lively's writing style. After reading this book, I made a visit to Norham Gardens in North Oxford and bought several more of Lively's books at Blackwell's, the venerable Oxford bookstore. The Pitt-River Museum also plays an important role in the book, and I hope to visit that, too, in the not too distant future. "This may be the most literary book for young people I've ever read. Most definitely, the plot is interior. Nearly everything that happens, happens in Clare's mind. She is changed as a result of the incidents in the book, but they almost all involve her own thoughts. The exterior events that are described are almost all of a very mundane, daily-life variety. The writing is very lush and detailed and focuses on life.The House in Norham Gardens was originally published in 1974. (The edition I read is not the one pictured here. I couldn't even find mine on the Internet.) As I was reading it, I kept wondering if it would be published today. I don't think it would. We're in love with the first-person narrator now (she said, almost always using a first-person narrator herself), and a "YA voice" that is nowhere near as introspective as it thinks it is. Perhaps A Certain Slant of Light could be described as literary. Maybe The Book Thief. But I can't think of anything I've read that comes close to The House in Norham Gardens in the literary with a big L category. "Excerpt from Original Content. 3.5 StarsI had mixed feelings about this book. As it's not heavy on plot, I struggled to get into it, but found I enjoyed it more as I went along. Great descriptions throughout though, especially about streets in Oxford and explorations in the Natural History and Pitt Rivers Museums. I especially like this paragraph from the beginning of the first chapter: "Belbroughton Road. Linton Road. Bardwell Road. The houses there are quite normal. They are ordinary sizes and have ordinary chimneys and roofs and gardens with laburnum and flowering cherry. Park Town. As you go south they are growing. Getting higher and odder. By the time you get to Norham Gardens they have tottered over the edge into madness: these are not houses but flights of fancy. They are three stories high and disguise themselves as churches. They have ecclesiastical porches instead of front doors and round normal windows or pointed gothic ones, neatly grouped in threes with flaring brick to set them off. They reek of hymns and the Empire, Mafeking and the Khyber Pass, Mr Gladstone and Our Dear Queen. They have nineteen rooms and half a dozen chimneys and iron fire escapes. A bomb couldn't blow them up, and the privet in their gardens has survived two World Wars. People live in these houses." I love this gentle and delicate story and have just got it out the library for the third time! I work in the street next to Norham Gardens and, walking down it in the January twilight, I can almost see Clare arriving home from school on her bike. It captures the melancholy and introspective atmosphere of North Oxford perfectly. Nothing very much happens - but a great deal happens, too. All I can say is you will not be disappointed if you read this. Lovely writing, lovely evocations of lost times and places, lovely characters. A gentle, clever, thoughtful tale that's a delight to read. This book tells the story of girl named Clare who is basically a middle-aged woman trapped in the young body; and she lives with her great-aunts, obsesses over New Guinea and goes to school - and it's utterly boring. All the major events of the book can be summarised in 10 pages, everything else is just descriptions and Clare's hallucinogenic dreams. The author also loves using overcomplicated words and expressions which made the analysis of this book in class a living hell. I'm sorry if you swallowed a dictionary when you were little but I don't have to suffer for that.So, as you can see, I didn't like this book. And I don't even know what demographic would like it which is not good either. Not quite sure to make of this. I’ve read quite a lot of the Penelope Lively adult novels but this is the first children’s book I’ve read. The characters are interesting and well rounded but I’m not sure what the story actually means. A vague ghost story about a shield found in the attic and the story doesn’t really go anywhere. Maybe I would have enjoyed it more as a teenager. At first I wondered why the protagonist was talking like a middle-aged woman and then I realised that Clare today would be in her mid-fifties. This got me wondering about how we don't really 'turn into middle aged women' -- we somehow cement our ways of speaking and our views on the world, and it's the world around us that changes.The opening paragraph of this book is wonderfully spooky and introduces the House In Norham Gardens as a character in its own right. But overall the story didn't hold my attention. It's always interesting to read a retro young adult novel and see how stories have changed. This one feels dated for its entries on a tribe in Papua New Guinea (which I wasn't interested in at all -- I ended up skipping them), and for the fascination of a black man from Uganda befriending a white girl from somewhere near Oxford. This relationship seems a bit strange to me today, but perhaps for different reasons.This book reminded me a lot of See You Thursday by Jean Ure. Apart from the shared setting:Women (one a teenage protagonist) live together and take in a boarderThe boarder is young and male and distinctive in some way (one for being blind, the other for being black in a time when this was less common in England)The young men both work for educational institutionsThese young men have a certain allure for the female protagonistThe girls each live in highly articulate households with much very English-sounding banter taking place.If you liked this book, I do recommend the one by Jean Ure. Both of these stories are interesting as a trip back to 1970s England. This is my second book by Penelope Lively. I cannot help but compare The House In Norham Gardens to The Ghost of Thomas Kempe which I absolutely loved. This book has the characters going for it. Clare is orphaned and living with her two elderly aunts. Aunt Susan and Aunt Anne are instantly lovable for their quirkiness. I found myself picturing them so easily in my mind. Clare herself is a caring girl. She cares about her aunts, the house they live in and those she comes into contact with. My problem was the story did not seem to connect for me with the idea of finding the painted shield and it affecting Clare and her dreams. The story line just did not seem to go anywhere. Written for young adult readers, so I was catching up on one I missed. Penelope Lively is terrific at setting a mood in time or place. This novel moves between the 19th and 20th centuries and between four generations of one family linked by the experience of 14 year old Claire. A very thoughtful book with some suspense and spooky moments too. Another good one by Lively is 'A Stitch in Time' aimed at slightly younger readers. Another beautifully written book from Lively. Loved the Oxford setting, particularly the rambling old house. Connected deeply with Clare's angst. This didn't resonate quite as much with me as STITCH IN TIME, but I still loved it. I don't like time travel books, in general, and I just have to say, this didn't have the usual time travel sensibility, but at the same time it sort of was. I like the way the layers of history were handled, though the epigraphs at the head of each chapter - clumsy. Absolutely wonderful. Such beautiful writing - I have loved Penelope Lively since I was a child but somehow had never read this one. This is such an interesting book. I love books with strange settings like crumbling mansions/castles and the characters were wonderful too. I think adults would actually like it more than children. Loved this book as a child and just had to read it again. Love it as much 2nd time around. Memory and loss and longing, experienced by a young girl making sense of the museum-like house she lives in with her elderly aunts. Dream-like and moving. Totally charming and quick. Clare is funny and absolutely lovable. Penelope Lively - Penelope Lively is the author of many prize-winning novels and short-story collections for both adults and children. She has twice been shortlisted for the Booker Prize: once in 1977 for her first novel, The Road to Lichfield, and again in 1984 for According to Mark. She later won the 1987 Booker Prize for her highly acclaimed novel Moon Tiger.Her other books include Going Back; Judgement Day; Next to Nature, Art; Perfect Happiness; Passing On; City of the Mind; Cleopatra’s Sister; Heat Wave; Beyond the Blue Mountains, a collection of short stories; Oleander, Jacaranda, a memoir of her childhood days in Egypt; Spiderweb; her autobiographical work, A House Unlocked; The Photograph; Making It Up; Consequences; Family Album, which was shortlisted for the 2009 Costa Novel Award, and How It All Began.She is a popular writer for children and has won both the Carnegie Medal and the Whitbread Award. 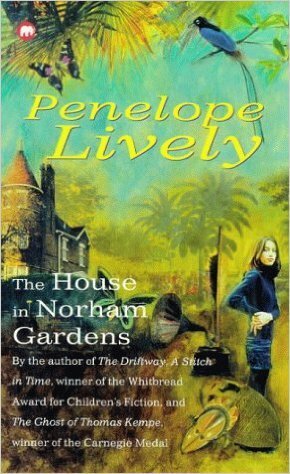 She was appointed CBE in the 2001 New Year’s Honours List, and DBE in 2012.Penelope Lively lives in London. She was married to Jack Lively, who died in 1998.